On February 8th, 2017, our lives changed forever. We found out our baby boy, Theo was going to be born with a major heart defect that would require multiple surgeries after he was born. 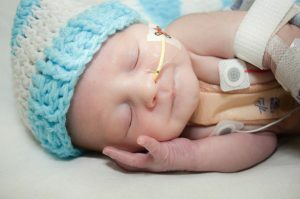 Theo was diagnosed with Hypoplastic Left Heart Syndrome (HLHS), a very rare and complex heart defect. 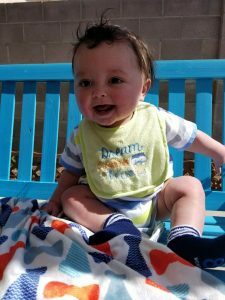 During pregnancy, Theo was monitored very closely by the wonderful staff at Perinatal Associates of New Mexico, along with his cardiologist. We were told we would need to relocate to Aurora, Colorado to deliver Theo at Children’s Hospital Colorado. Very few surgeons can perform the necessary procedures, but this hospital has one of the finest surgeons to do the job. We began making plans and the necessary arrangements with the help of the Fetal Care coordinator, Mia, at Perinatal Associates of New Mexico. Theo was born on July 7th, 2017 (7/7/17, lucky 7s!) in Aurora. We were so fortunate to be able to spend 4 days with Theo before his first surgery, a luxury that many heart parents aren’t afforded. 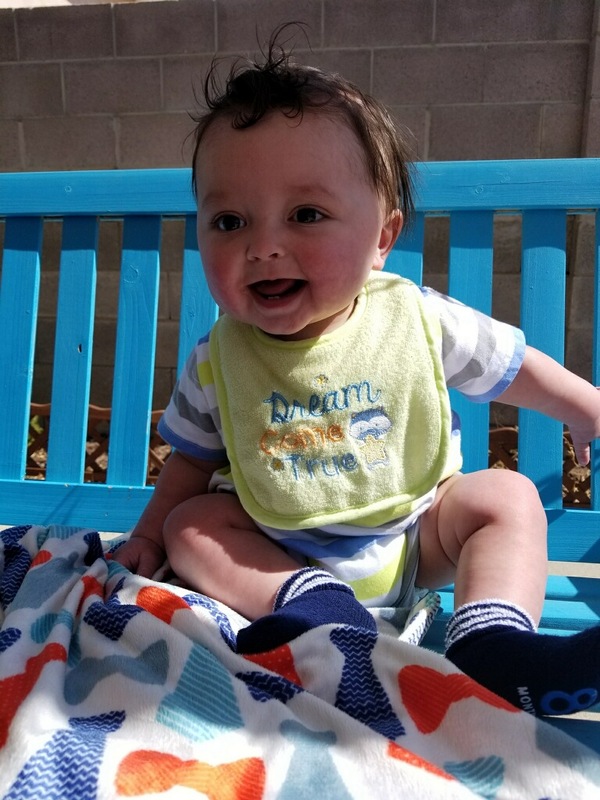 Theo’s Norwood procedure was performed on July 11th, by the incredible Dr. Jaggers, and it was complication free. We were on the road to recovery so we could go home and enjoy our little guy outside of a hospital room. That was the beginning of a very long, bumpy, stressful, and frustrating road. Theo would spend the next 9 weeks in the hospital and undergo a total of 2 open heart surgeries and 1 heart cath, each carrying the same risks and concerns. We were discharged in early September and able to go home shortly thereafter. We enjoyed a relatively quiet 2 month at home before Theo’s heart told us he was ready for his next surgery. After a little scare on a Saturday morning in November, Theo was put on an emergency life flight to Children’s Hospital Colorado, and he had his Glenn procedure, his 3rd open heart surgery at 4 months old, on the Monday before Thanksgiving, 2017. Six days post-surgery we were discharged and were able to travel back to Albuquerque 2 days later. We’ve been home si nce then with no scares and enjoying every minute of it. Theo is doing amazing. His cardiologist could not be more pleased. Theo has fought so hard, and we are so proud of him. We constantly remind ourselves not to compare journeys of other HLHS babies. CHD is unpredictable, scary, and stressful. There are so many unknowns and surprises. We always have to be on our toes. Every heart parent knows what I am talking about, and if you are reading this because you just received a diagnosis, you are not alone. There are many resources available to help navigate through this journey, and many other families going through a similar journey.